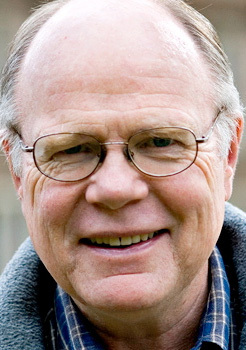 Karl E. Case is Professor of Economics Emeritus at Wellesley College where he held the Katherine Coman and A. Barton Hepburn Chair in Economics and taught for 34 years. He is currently a Senior Fellow at the Joint Center for Housing Studies at Harvard University. Professor Case is also a founding partner in the real estate research firm of Fiserv Case Shiller Weiss, Inc. and serves as a member of the Board of Directors of the Depositors Insurance Fund of Massachusetts. He is a member of the Standard and Poors Index Advisory Committee, the Academic Advisory Board of the Federal Reserve Bank of Boston and the Board of Advisors of the Rappaport Institute for Greater Boston at Harvard University. He has served as a member of the Boards of Directors of the Mortgage Guaranty Insurance Corporation (MGIC), Century Bank, The Lincoln Institute of Land Policy, and the American Real Estate and Urban Economics Association. He was also an Associate Editor of The Journal of Economic Perspectives and The Journal of Economics Education. Professor Case received his B.A. from Miami University in 1968, spent three years on active duty in the Army and received his Ph.D. in Economics from Harvard University in 1976. His research has been in the areas of real estate, housing, and public finance. He is author or coâ€‘author of five books including Principles of Economics, Economics and Tax Policy and Property Taxation: The Need for Reform and has published numerous articles in professional journals. Principles of Economics, a basic text coauthored with Ray C. Fair and Sharon Oster, is in its tenth edition.